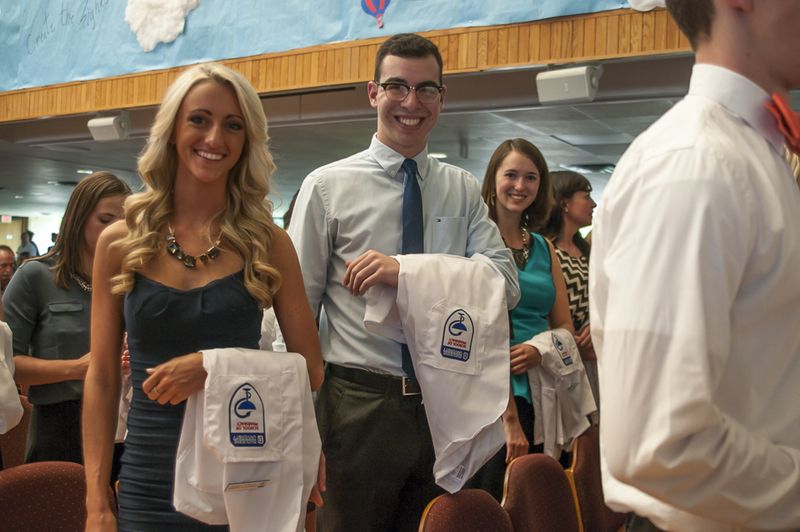 More than 200 students marked the first year of their professional study as pharmacists at the Mylan School of Pharmacy's 12th annual White Coat Ceremony on Aug. 26. 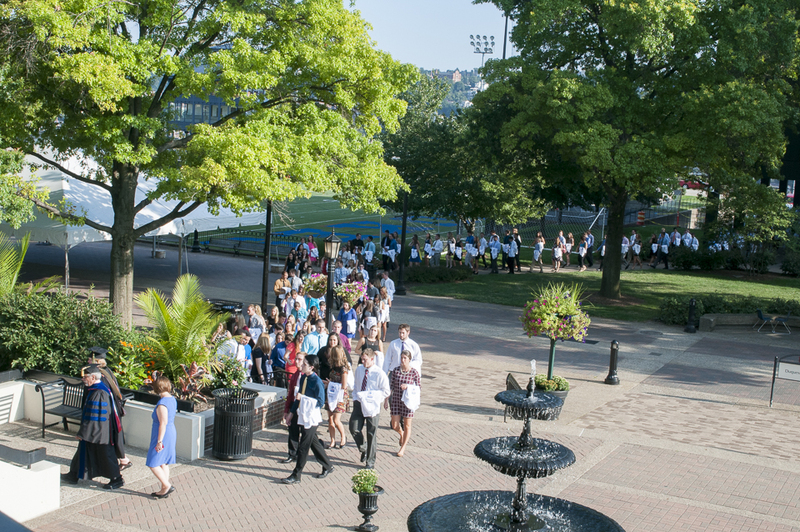 Before an audience of family members and friends, pharmacy students entering the third year of the school's six-year Pharm.D. 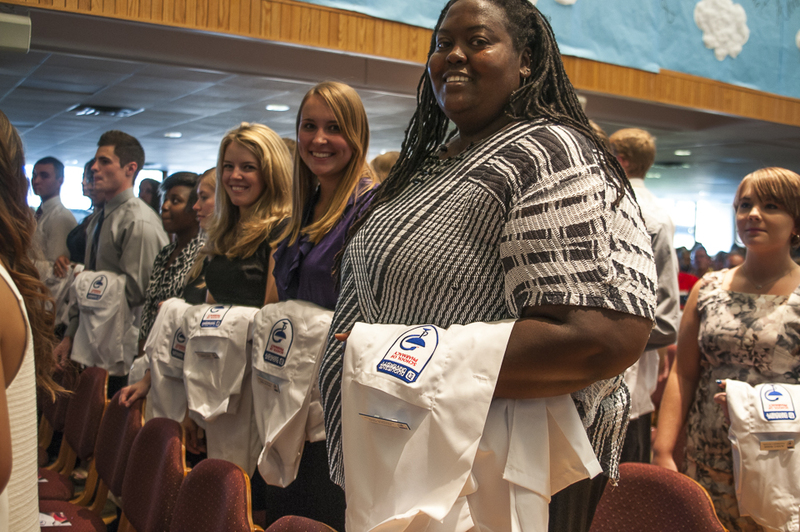 program were presented with white coats that they will wear during their laboratory and experiential education. The class members also recited a pledge of professionalism. 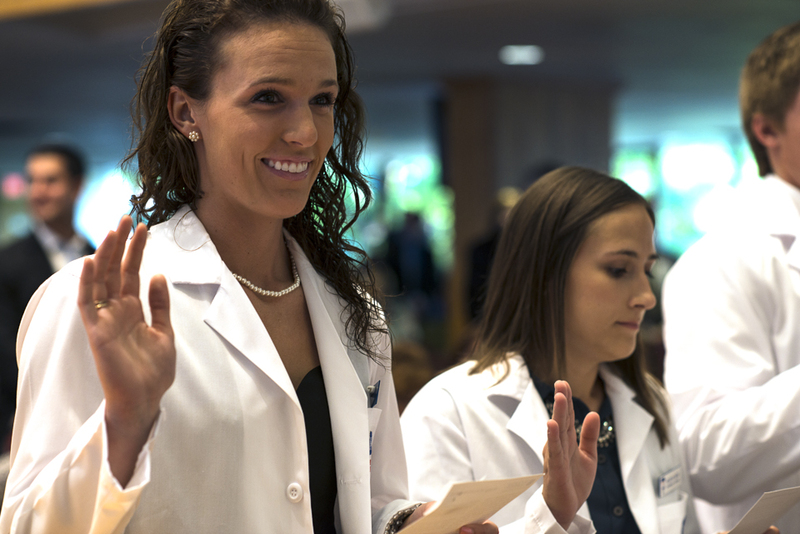 Dr. Nancy A. Huff, a 1984 graduate of Duquesne's Pharm. 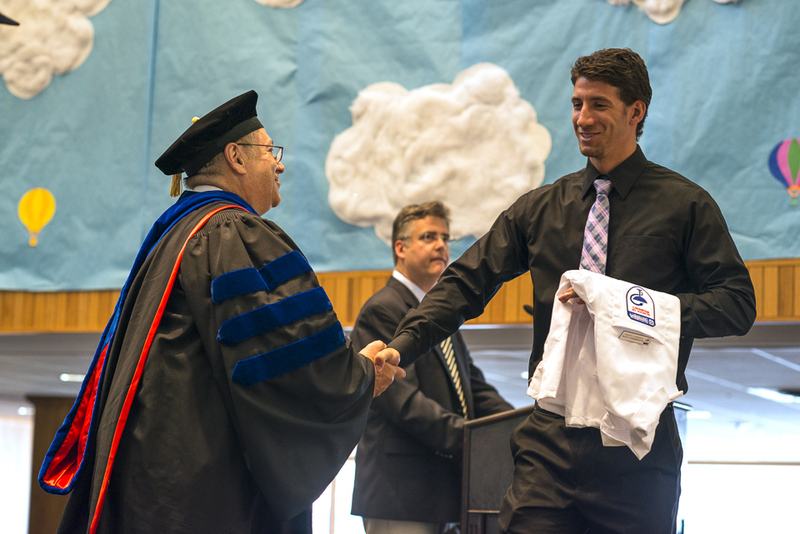 D. program, was the featured speaker at the ceremony. 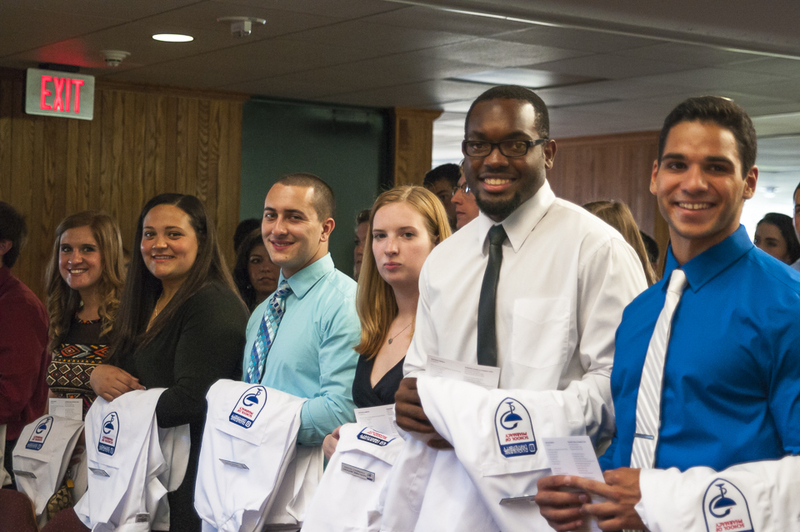 She is director of pharmacy rehabilitation and respiratory services at Norwood Hospital in Massachusetts, where she also serves as an adjunct faculty member at numerous schools, including the Massachusetts College of Pharmacy and Health Sciences, and Northeastern University. Huff has published in the American Journal of Pharmaceutical Education, Nutrition Today and the Journal of Clinical Pharmacology.